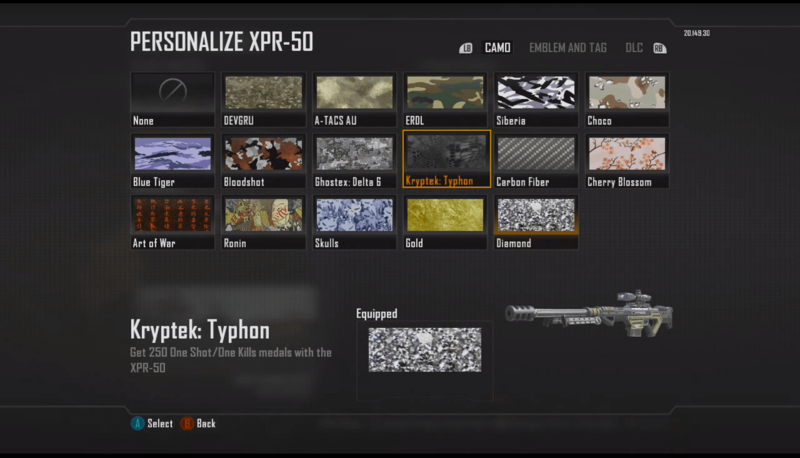 Rumor on the street is the you can unlock “diamond” camouflage for your weapons in Call of Duty Black Ops 2. Well guess what? You can and I am going to tell you how! In order to get the diamond camouflage it is a very simple, but time consuming process. Diamond camouflage is only available when you unlock all the existing camos for each individual gun in the particular category. Your weapon prestige does not have any effect on the ability to unlock diamond camo. Once you have completed all of the camo unlocks for each gun in the particular category you will be able to select diamond camouflage and apply it to any of the guns found within the same category.